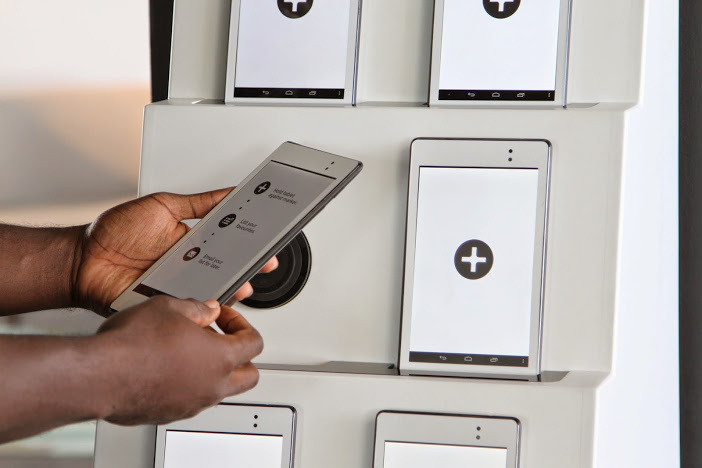 CloudTags – When you enter the Made.com showroom, you will see a stand stacked with white tablets (see Fig. 1 below). These devices enable you to scan individual items in the showroom. You can scan visual “Near Field Communication” (‘NFC’) tags on each item. Scanning these tags with your device will get you more information about a specific piece of furniture and create a list of items you’re interested in. Made.com can then email you the list, which enables you to do further research on the items that you’ve looked at (see Fig. 2 below). This also provides Made.com with valuable data on its users . Product discovery – I really liked the product pages that came up on the handheld device as I was scanning CloudTags on products. For example, when I scanned a “Landsdowne Upholstered Bedside Table”, I got a product page which was clear, visual and which encouraged me to look at similar products (see Fig. 3 below). From this product page, I found it really easy to look at the bedside table in different colours and to explore different products by type and collection respectively. Also, the email that I got from Made.com included both the item that I’d looked at as well as “recommended products” (i.e. other items in the Landsdowne collection). 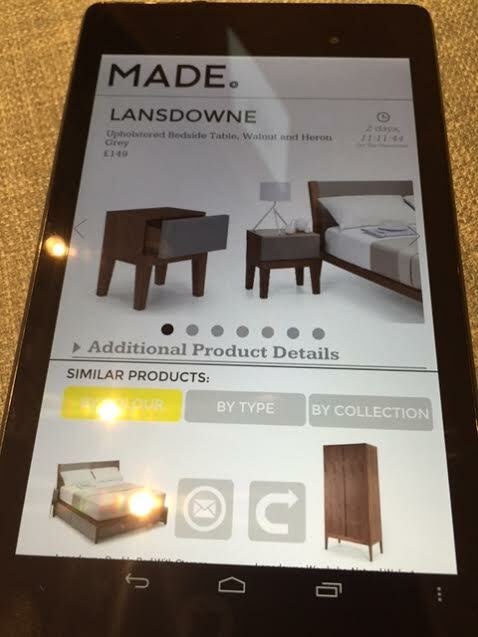 Don’t forget about the iBeacons – Based on my in-store selections, I expect Made.com to be able to build up a good profile of my furniture preferences. 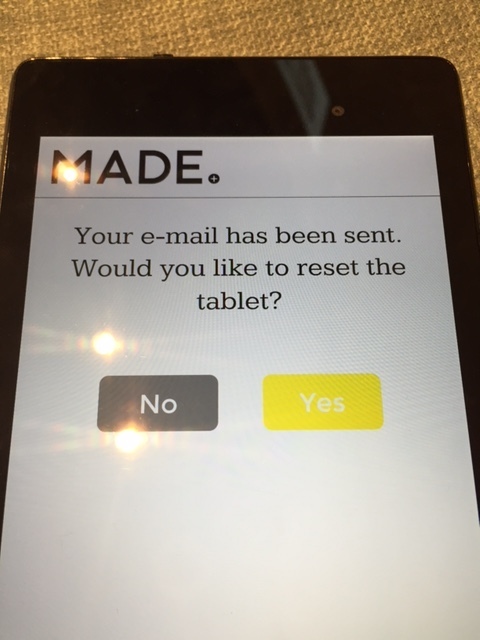 In addition, Made.com uses iBeacon technology in-store which, in combination with the tablets, generate data on e.g. customer dwell time. 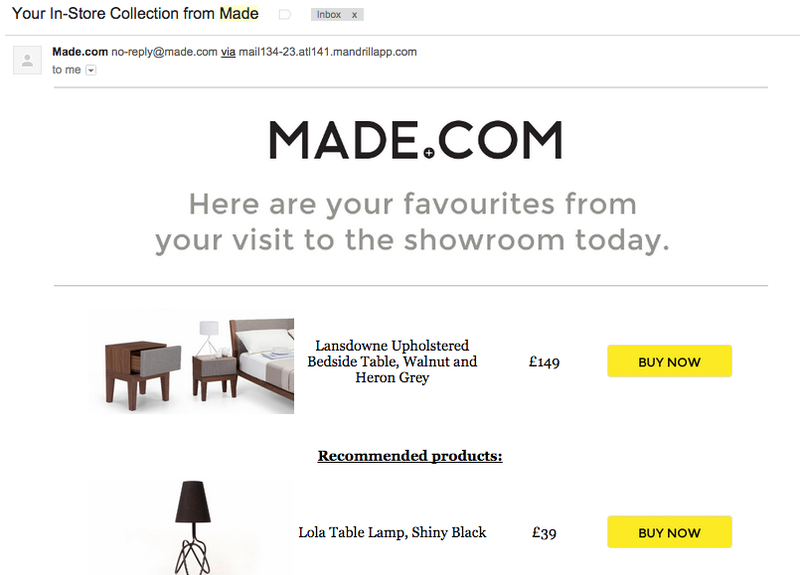 Made.com can then use this data to personalise its marketing and showroom merchandising strategies. Main learning point: I really like how Made.com are combining the online and offline user experience. When you go in-store, their combined experience feels intuitive and seamless. I’m curious to see how Made.com will continue to build on this combination of online and offline touchpoints, and how it will use the data which it generates in the process.